as a JDRF fundraising event! This year the One Day Ride Across Michigan will take place on August 10, 2019 and there are some exciting changes in store. ODRAM is pleased to announce a partnership with Double JJ Resort in Rothbury, Michigan to host the start of the ride. This great resort, located just minutes north of last years’ starting location, provides many amenities for our riders and their families and our route guru assures us the distance will remain at 150-ish miles. The Double JJ features a variety of outstanding accommodations, including hotel rooms, jacuzzi suites, log cabins and camping. The cabins and camping are walking distance from the starting line. The hotels rooms are within two miles and the resort has a free shuttle service. There is a restaurant, food court, and full bar on premises. The resort will even offer the traditional ODRAM Friday night pasta dinner. 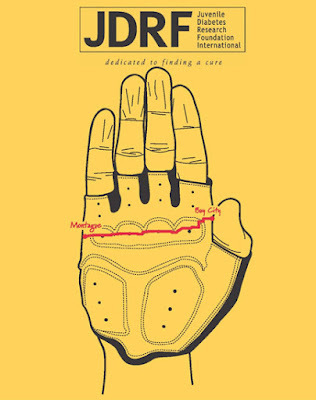 2019 also will mark the 10th year that JDRF -- the leading charity for Type 1 diabetes research -- will have been the beneficiary of ODRAM donations. We hope you will join us for ODRAM 2019. Watch this space for more info over the next few months. Ride On. We will continue to offer lunch, finishing celebration picnic along Lake Huron and 2 SAG stops, as well as ride-eve packet pickup. Proceeds from ODRAM will again benefit the Juvenile Diabetes Research Foundation's Ride to Cure Program. Riders also have the option of raising funds for JDRF while earning free kit items. Click here for more details. Looking for an easy way to connect with other ODRAM participants, find ride buddies, transportation to/from the start, and have questions answered from seasoned riders? Check out our popular Facebook group - ODRAM Riders Hub. I thought doing ODRAM would be a one-time, check-it-off-my-list, been-there-done-that ride. Five months later I've confessed to my husband that I need to do it again. I’ve ridden in a few ODRAMs, my first in 1989. The group organizing the ODRAM these days really puts on an excellent event. You might hear, “if you can do a century ride, you can do the ODRAM”. I believe that’s pretty much true. It will be a longer day, and you need to plan for more stops, but it’s very doable. Some considering the ODRAM will likely be planning on doing it solo. From past experience I find it is more fun with friends. And, if you ride it solo (and I have), it will take you all of about five minutes to hook up with a whole new group of friends. You can ride it unsupported (no sag), as there are three organized rest stops (including lunch), and there are plenty of towns along the way where you can plug in a couple more stops on your own. I’m from the east side of Michigan so I always bring along a sag crew (so I don’t have to go back and get my vehicle). My wife and daughter man the sag vehicle, and I sometimes think they have more fun than I do. In the past I have brought a couple friends along, who didn’t think they could ride the whole route. They started out riding, jumped the sag vehicle for a while, then back out on the bike to finish up the ride. They had great fun too. As far as the route and road conditions go, it’s about as good as you could probably hope for. There are some less than great roads (hey, it’s Michigan), but overall they are usually pretty good, and it seems like a lot of effort goes into trying to find the best route. Road marking is first class. As far as hills; honestly, the only hill I remember is a little before the lunch break. Most of the rest of the first 80 miles is rolling. After the lunch stop it is still slightly rolling but trending flat to slightly downhill. Some years the start can be a little foggy and dreary. Get a ‘good’ taillight. If there was one issue to consider, it’s the wind. On a one way trip, you are pretty much at the mercy of Mother Nature as far as the wind goes. I’ve been on ODRAMs with a pretty stiff headwind the whole day (find a group to ride with), and with a stiff tail wind the whole day (which gets you thinking, “I could’ve have ridden the Tour De France”).Make sure to follow the ODRAM Riders Hub on Facebook. Everything (and probably more) than you need to know about the ride is there. And to top it all off, it’s for a great cause (the Juvenile Diabetes Research Foundation). It’s the best cross state ride I’ve done. And that’s no lie. (Well, actually, it’s the only cross state ride I’ve done. I don’t get out much). Introducing our all-new 2019 kit design! 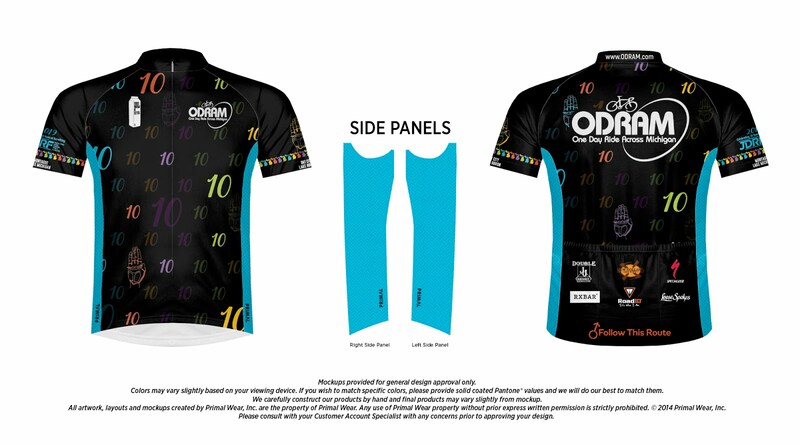 Click to order your ODRAM jersey -- visit our ODRAM Gear page for more info. Earn FREE kit items -- Check out all the details! ODRAM Riders Hub - Connect with other ODRAM participants, find ride buddies, transportation to/from the start, and have questions answered from seasoned ODRAM riders. 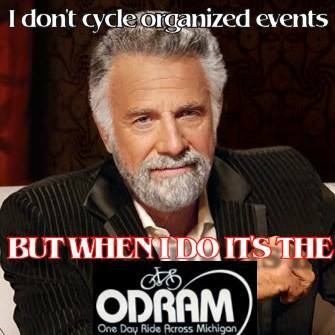 100% of proceeds from ODRAM help fund the West MI JDRF Ride to Cure team. 2017. ODRAM • One Day Ride Across Michigan. Powered by Blogger.